What will your leadership legacy be? It’s never to soon to begin to plan for the long-term impact you will have on your team and your organization. Too often leaders do not take time to think about how their actions and decisions made today will help to define their legacy, meaning how their tenure will be perceived once they move on to retirement or the next chapter of their career. Your Leadership Legacy: Why Looking Toward the Future Will Make You a Better Leader Today details why it’s best to be thinking about your legacy now. In doing so, you will remain on a quality path that will ensure right decisions, quality results and will ensure a honorable legacy. 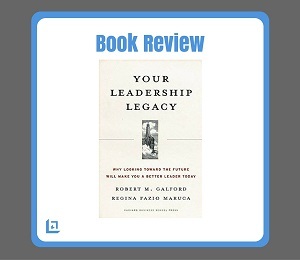 Co-authors Robert M. Galford and Regina Fazio Maruca introduce the term “legacy thinking”, which acts as a guideline and measuring stick for making key leadership decisions. They provide leaders with the tools to see if your latest decisions, when measured by legacy thinking, will pass the test of true leadership. "Leadership comes in small acts, simple conversations, as well as thoughtful decisions and bold strokes of courage." Through daily practice, leaders can develop and eventually master the skill of "legacy thinking". You can learn to quickly recognize the legacy you’re most likely to leave by the actions and decisions you make in the role you are currently playing within your organization. Leaders must understand that once you have moved on from your current position, people will look back and quickly determine if the organization is now better off as a direct result of your leadership. Obviously, we all want to make a positive impact on our company and the people we lead. Unfortunately, too often leaders don’t even begin to consider their overall impact until well after their departure. In reading this books it's clear the authors were committed to helping leaders avoid making the common mistake of being short-sighted. The central theme of Your Leadership Legacy is that visions of an honorable legacy should be the daily catalyst for our actions, rather than just being the result after the fact. 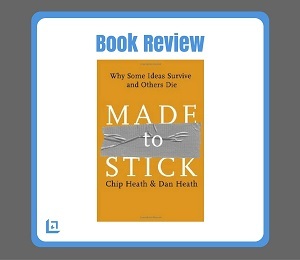 One of the key points of the book is that many retired leaders, as they look back upon their long illustrious careers, take more pride in the impact they had on individuals to learn and grow, than the financial accomplishments of the business. In real terms, the one-on-one relationships that are developed and nurtured mean the most to these highly successful men and women. The authors have provided a free Leadership Legacy Assessment, which contains 30 brief questions. Take the assessment now to get a snapshot of how you measure as a legacy leader. "Your legacy will be revealed in how your colleagues, employees and others think and behave as a result of the time they spent working with you." The purpose of Your Leadership Legacy: Why Looking Toward the Future Will Make You a Better Leader Today , is two-fold. 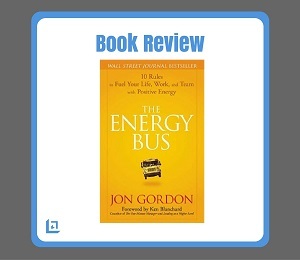 First, the book strives to bridge the divide between doing what’s right for the company and at the same time contributing to the well-being of the individual employees and team members. Secondly, the book attempts to help leaders to ensure they are successful in leaving a positive and honorable legacy that serve the common good for generations to come. "Leadership is about doing what you know is right - even when a growing din of voices around you is trying to convince you to accept what you know to be wrong." Highly successful companies almost always have strong effective leaders at the helm. Too often, however, the success of the organization comes at a very high personal price to it’s leaders and team members, and in those cases, the company's long-term success is at higher risk. Today’s most insightful leaders understand that they must leave behind an organization that is sound financially and on the cutting-edge creatively, while at the same time leaving behind highly motivated and fully engaged employees. The authors walk you through the entire process of planning a leadership legacy of honor and distinction. 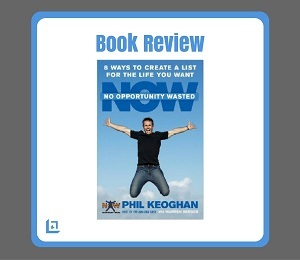 This book is worthy of your attention. Time spent reading this material will serve you well as you work to building your own leadership legacy. Robert M. Galford, is a managing partner of the Center for Executive Development in Boston and has taught executive development at multiple universities. Regina Fazio Maruca, is currently a writer and editor based on Cape Cod.